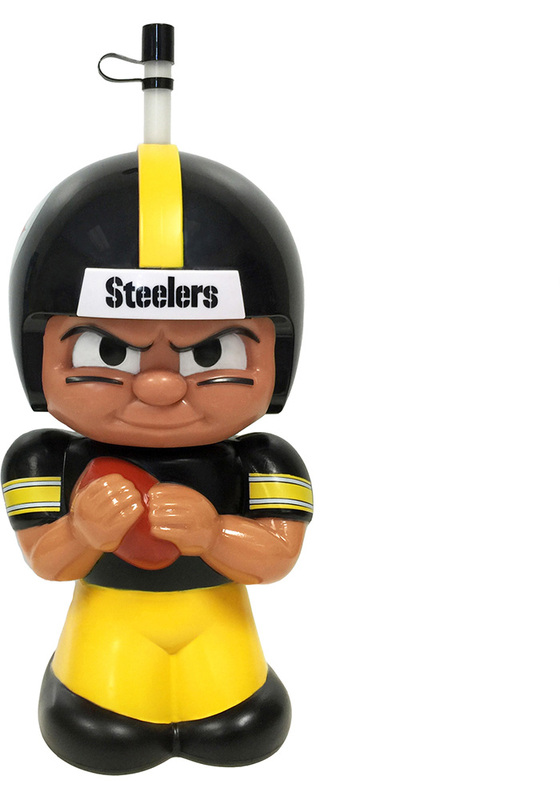 Take your Pitt Steelers Steelers pride to the gym with this Pittsburgh Steelers Water Bottle. This Water Bottle features a NFL TeenyMates Big Sip character water bottle shaped like NFL quarterbacks! Cups hold 16oz of water, juice, soda, or any cold beverage and are made with safe, food-grade materials. Twist head and remove to fill or clean. Includes handy straw and stop-cap, so little ones don’t make a mess. Go Steelers!